The ANZAC Exchange will take place this coming season again after being AWOL for a while. A team of young Team Toa lifeguards will travel to Torquay, Victoria, Australia and then host an Aussie team back here in NZ over summer. 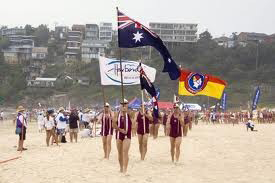 The Team will experience how lifeguard-ing is carried out in Victoria gaining valuable guarding and leadership skills. A key aim of the exchange is to pro-mote excellence and reward our young motivated members. Candidates shall be seen as a role model within the club, have a team attitude and takes up opportunities. E.g. IRB Crewman’s and First Aid Courses. Age 15 and over at the date of the exchange and hold a Lifeguard Award. Be involved in the junior surf programme or lifeguard training and show a high level of leadership values within the club. Complete a pool swim of 800metres in a time of 15:30 minutes or less. Take part in any training sessions on boards made available that season and be able to ride a board out past the breakers and in to shore. Run 1.5km in 10 minutes on the soft sand. Complete a surf swim of 200 meters with no fins and no tube. Complete a tube rescue with fins. The fitness tests will be carried out after the selection has been approved but it is expected that the candidate will be able to complete all tests prior to travel. Capable of leading the team. Have a good knowledge of SLSNZ systems and qualifications. Prior involvement with coaching of juniors. Be able to co-ordinate a return visit. The ANZAC Team will need to take on the vast majority of fundraising for the trip and host the returning team. Generally the NZ team travels over prior to Xmas with the Aussie Team visiting after New Year. mcewanhamish@gmail.com . Applications will be decided by a select committee.